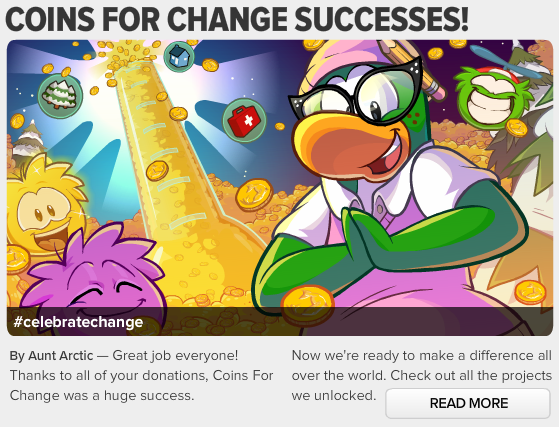 Coins For Change was a huge success according to Aunt Arctic. She tells us where all the money went to below. I think Gary wants us to play Aqua Grabber more often. Have you played that game? If you haven't then check it out. 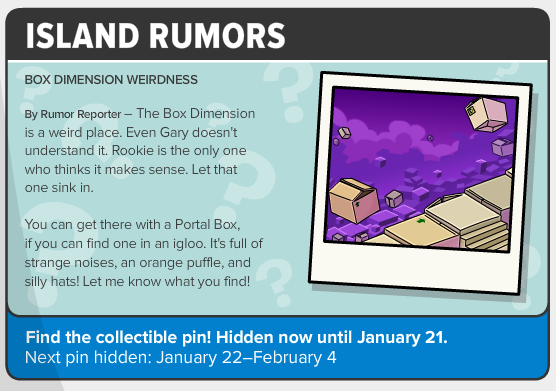 I think we might have a party related to the box dimension! 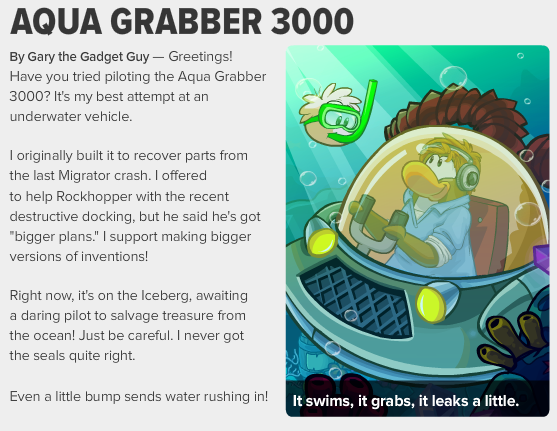 Maybe a new puffle will be introduced?